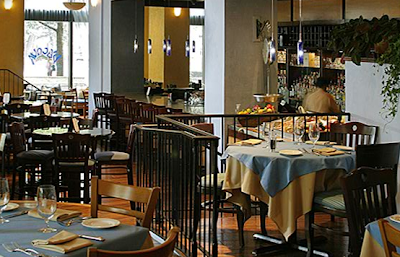 Italian seafood restaurant D'Acqua has closed on Pennsylvania Ave.
One restaurant bites the dust, several open and more are (bien sur) on the way. Here's all the juicy stuff you may have missed recently from the Twitterverse ... follow Metrocurean on Twitter here. Ris on twitter->RT @yoantoine Congrats to Ris Lacoste for winning WCR's golden whisk award! Follow @risDC for updates on her new all-day cafe! RT @BGRBurgerJoint BGR The Burger Joint, opens up on DuPont circle, 1514 Connecticut Ave, NW at 11am Nov. 2! Is your favorite DC chef or restaurant tweeting? Just made of list here: @metrocurean/dcchefs-restaur.... Let me know if I missed anyone.